The parties of the parliamentary majority, the Liberal Party (V), the Conservative Party (KF) and the People's Party (DF) won the general elections, organised early on 8th February. The Liberal Party led by Prime Minister Anders Fogh Rasmussen won 29% of the vote (- 2.3 points in comparison with the previous general election on 20th November 2001) taking 52 seats (- 4). The Conservative Party progressed and won 10.3% of the vote (+ 12 points) and 19 seats (+ 3). Finally the People's Party also emerged strengthened after these elections winning 13.2% of the vote (+ 1.2 point) and 24 seats (+ 2). The extreme rightwing party remained in third position in the Folketing (Parliament). Together the three parties of the parliamentary majority have won 95 of the 179 seats in the Folketing i.e. slightly more than during the last term of office. The opposition parties won the same number of seats as in the previous term of office (74). "This shows that the immigration policy is on course and we have been rewarded," declared the DF party leader, Pia Kjaersgaard. The Social Democrat Party (SD), the main opposition party saw however one the worst results in its history winning 25.9% of the vote (- 3.2 points) and 47 seats (- 5). The Radical Liberal Party (RV) improved its score significantly: 9.2% of the vote (+ 4 points) and winning 16 seats (+ 7). Its leader, Marianne Jelved, is very popular amongst the young and intellectuals because of her fight against the government's anti-immigration policy. The Socialist Party (SF) won 6% of the vote (+ 0.4 point) and 11 seats (- 1) and the Unity List – Red Green Alliance ((E) 3.4% of the vote (+ 1 point) and 6 seats (+ 2). The participation rate dropped in comparison with the previous elections of 20th November 2001, settling at 84.4% (- 2.5 points). The Danish election was enveloped in heavy security measures for fear of terrorist attacks like the ones that struck Spain on 11th March last just before their general elections. "This is a great night for us. We have been re-elected to power and this is also a historical victory for the Liberal Party that remains the greatest party in the country," declared Anders Fogh Rasmussen when the results were announced. After having paid tribute to his social democrat adversary the Prime Minister called for "major co-operation within the Parliament to rise to the challenges that are before us, such as the reform of the commons and the adoption of the European Constitution." Anders Fogh Rasmussen is the first liberal head of State to be re-elected in Denmark. He announced his intention to maintain his alliance with the Conservatives within the government. The People's Party will therefore not be invited to enter government but will however participate in the parliamentary majority. The extreme rightwing party recently called for greater severity with regard to young immigrant delinquents and demanded a quicker return of foreigners whose request for asylum had been rejected. In addition to this the DF suggested the re-introduction of border controls in order to fight against illegal immigration; they also suggested to deny the right of entry to Denmark by imams and also the right to foreigners to vote in local elections. Finally Pia Kjaersgaard's party would also like refugees not to be granted a permanent residence permits and for them to be sent home when the political situation settles in the own country. "The Liberal Party succeeded in stealing the traditional arms of social democracy by defending the poorest, families with children, the retired and the public services. The battle might therefore be summarised by a confrontation between personalities," emphasised Lars Bille, teacher of political sciences at the University of Copenhagen. A fight that the charismatic Prime Minister won easily over his main adversary, Mogens Lyketoft, who is thought of as being cold and austere by many Danish. The president of the Social Democrat Party "does not rule unchallenged at the head of his party that is very much divided. There is a lack of leadership that is a great handicap since in the absence of any major difference in their respective parties' programmes the electoral campaign focused mainly on the two men's personalities," Lars Bille said. Anders Fogh Rasmussen, fifty-two years old and a qualified economist, will therefore take up his position at the head of government again. After being elected in 1978 as an MP he was then Contributions Minister between 1987 and 1990, then Economy and Contributions Minister from 1982 to 1993 in the government led by Poul Schlueter. He was Vice-President of the Liberal Party for thirteen years before taking over its leadership in 1998. Anders Fogh Rasmussen is pro-European and in favour of abolishing the exemptions granted to Denmark by the EU in terms of Common Defence and Legal and Monetary Co-operation after the voters rejected the Maastricht Treaty in the first referendum in 1992. The Prime Minister is a loyal ally of the USA and did not hesitate in involving his country in the Iraqi conflict although his population was against it. The president of the social-democrat party, Mogens Lyketoft, former Foreign Affairs and Finance Minister admitted defeat two hours after the announcement of the official results and congratulated his rival on his victory. He also said that he "assumed total responsibility for this defeat," and that he would relinquish his position as Party leader in the near future. "It is an unjust result and I am extremely upset to see the liberal-conservative coalition in power for another four years with the support of the Danish People's Party," emphasised Mogens Lyketoft. The social democrats did not manage to offer any real alternative to the government policy and found themselves dispossessed of their usual campaign themes, failing to establish the Iraqi question at the heart of the electoral debate. 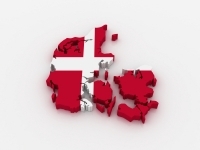 Although the majority of Danes are against the presence of the kingdom's soldiers in this country the economic situation and the immigration policy, approved by most of the population, were more decisive themes in the vote than issues involving foreign policy. The last poll undertaken by the Gallup institute revealed that employment, just ahead of immigration comprised the voters' primary concern. Prime Minister Anders Fogh Rasmussen announced that the next election organised in the kingdom would be the referendum on the ratification of the European Constitution. This is due to take place at the end of the year at the beginning of the next.